Children don’t come with instructions and discipline is often experienced by parents and children alike as an arena where our will and wits are tested. Positive reinforcement is only one of many forms of discipline, but from the perspective of positive psychology it may as well be the most important one as it focuses on amplifying what is already good in our children and in ourselves as their caretakers. Positive reinforcement as a form of positive discipline allows us to tap into our children’s individual strengths, draw attention to their personality traits and interests, and as a result give us an opportunity to connect, communicate effectively, and ultimately empower them to be more of themselves. Positive reinforcement is one of four types of reinforcement in operant conditioning theory of human behavior (see our article on Positive Reinforcement in Psychology) and one of many approaches to parenting. It is intended to encourage a desired behavior by introducing rewards shortly after the occurrence and therefore increasing the likelihood of repetition (McLeod, 2018). It’s not unlike the fundamental principle of positive psychology which stresses the need to focus on what is good in human nature. And just like positive psychology does not claim to represent a complete view of human psychology, the use of positive reinforcement alone does not make for an effective model for parenting but is rather complementary to it while taking a central stage in many contemporary models of positive parenting discussed below. Positive reinforcement can be used to encourage behaviors we want to increase, like your child cleaning her teeth without a fuss, or to reward your child for practicing new skills and can encourage him to continue, like tying his shoes or loading a dishwasher. For positive reinforcement to be effective and of long-lasting value, it may require a change of habit on the part of the parent as much as it is intended to change the behavior of a child. Some of us will have to develop a muscle not only to praise versus criticize but also to praise well, and it may not feel natural at first. For many parents the natural tendency to correct and fix behavior problems was ingrained in their own upbringing and is usually well-intentions, but over-reliance on this approach deprives us of the many opportunities to notice what our children already do well. As research in positive emotions by Barbara Fredrickson shows that the ratio of 5 to 1 in positive to negative emotions contributes to happiness, a similar ratio of positive reinforcements to other forms of correcting behavior (like negative reinforcement or positive punishment) should also yield better results, and ultimately happier children and parents (Fredrickson, & Losada, 2005). Following this model, the use of positive praise for example should outweigh instances of criticism 5 to 1 to increase positive affect and well-being, both in children and their parents (Rodriquez & Sprick, n.d.). The most important aspect of effective praise is to complement the behavior not the person. Professor Carol Dweck of Stanford University explains how praising the effort versus the personality of the child supports a growth mindset and a sense of self-efficacy. Her well-known book Mindset: The New Psychology of Success which explains the roots of intrinsic motivation, stresses the importance of focusing on the child’s ability to pursue goals and commitment to learning new skills which is within his control over inherent qualities like personality which are a given and often difficult to change (2007). Affection is also extremely important in how we communicate our approval, according to Dr. John Gottman, a long-time researcher into positive family dynamics. His books The Heart of Parenting: How to Raise an Emotionally Intelligent Child (1997) and Meta-Emotions: How Families Communicate Emotionally (2013) list many practical tools for improving emotional connection with our children even in the toughest of moments and remind us that expressions of warmth and compassion communicate authenticity and enhances closeness. Researchers elsewhere suggest that positive discipline should support child’s basic psychological needs as defined by the Self-Determination Theory of Ryan Deci and should foster autonomy, competence and relatedness (2000). A sense of autonomy can be supported by involving our children in setting limits and offering choices for rewards that connect to what is meaningful and enjoyable form of recognition to our children. For that, we must be closely attuned to our children’s interests and have a good map of their emotional worlds, a worthwhile investment which supports their basic need for connection. Many respected authors on positive parenting, like Dr. Dan Siegel, suggest we should take interest in our child’s pursuits by being curious, even if at first it may not seem like something that is our cup of tea (2016). Being open-minded and suspending judgement long enough to get to know our child can be a learning opportunity both for the parent as much as the child. Finally, a child’s sense of competence can be fostered by reinforcing behaviors that speak to their strengths and can be cultivated through creating opportunities for mastery of skills and practice of perseverance and commitment. Jessica Lahey, in her wonderful book The Gift of Failure: How the Best Parents Learn to Let Go So Their Children Can Succeed, warns parents that overprotective failure-avoidant parenting style undermines competences, independence and academic potential and could lead to a life of anxiety (2015). Safe and overprotected children make parents feel good about themselves. When we are enmeshed in our children’s lives, we sent our them a message that they are incompetent and stifle their creativity. Lahey reminds us that children learn to be resourceful and innovative as a result of failure because it requires intellectual and emotional bravery from the child and a lot of support, love and a lot of restraint on the part of the parents. Failure fosters grit, support autonomy and competence, helps parents learn to back off and see the big picture and even teach them to embracing the opportunity to fail (Lahey, 2015). General examples of positive reinforcement can be found everywhere, from dog training techniques to employee rewards and recognition programs (Daniels, 2016). 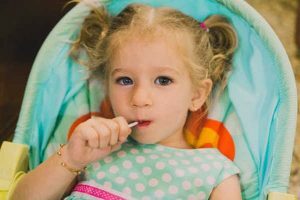 Positive reinforcers are also widely used in school settings and child care centers to entice children to perform a task, learn a new skill or exhibit a desired behavior more frequently or on time, and can be just as effectively be replicated at home. Children of all ages respond well to praise as they want to please their parents and more often want to be seen as making good choices. When we praise positive behaviors and choices, we empower our children to repeat them. Catch your child in the act of being ‘good’ and when your she is behaving in a way you like, give her some positive feedback. With orange and lavender spots (133). Remember to make at least five positive comments for every negative response because if children have a choice between no attention or negative attention, they’ll often settle for getting a raise of out you. Descriptive encouragements are powerful motivators. Even teenagers, who might seem self-sufficient, still want and need your approval. When you notice your older child’s responsible choices you encourage her to keep behaving that way but be sensitive to the fact that teenagers often prefer you to be praised privately rather than in front of their friends (Belsky, 2008). With teenagers giving more privileges or increasing responsibilities can also be a very effective form of reward. We must be willing to discuss and adjust rules as our children show greater sense of responsibility and get older, for example, by extending a child’s curfew. The most important thing to keep in mind when using positive reinforcement to change behavior is to remember the last time we tried to change one of our own habits. It simply takes time, patience and perseverance. When using positive reinforcement to change behavior immediacy, frequency and consistency are very important. When a child is learning a new skill providing reinforcement right away and often keeps them motivated and committed. Here is where reinforcement schedules come in handy. Continuous schedule of reinforcers introduced consistently after every occurrence of desired behavior while not easy to maintain represents operant conditioning at its most intense and effective. Reinforcements can also be given at a fixed ratio after a specific number of occurrences or fixed interval after agreed upon amount of time. Finally, variable schedules can be introduced when where we offer rewards less frequently as the time goes on so as to prevent the dependence on rewards in favor of fostering of internal motivation to perform the desired behavior (NAEYC, 2018). Monitoring progress is also crucial so adjustments can be made based on child’s preference for the type of rewards. Soliciting child’s preferences can itself enhance motivation by introducing a choice and therefore fostering a sense of autonomy. Monitoring for satiation can help to prevent reinforcers from diminishing in power. Here we can offer more variety by switching the reward systems, by adjusting the sessions of reinforcements from continuous to intermittent, especially after the desired behavior is established. The type of rewards we provide is also very important and depends on the context as some of them like natural reinforcers occur naturally as a consequence of child’s behavior and may not require our intervention. Natural reinforcers in form of good grades or a sense of self-satisfaction for a job well done are most effective as they support self-esteem, sense of agency and increase intrinsic motivation. Social reinforcers like recognition or approval of others that can be expressed through complements, encouragement, and specific praise are also very powerful as they communicate acceptance and belonging. Token reinforcers which are offered in place of tangible rewards can also be effective in encouraging progress toward goals as they can be used immediately and are an effective visual representation of continuous effort. A child can earn points or accumulate token which they can then trade in for something of value to them. Finally, tangible rewards can be used to kickstart motivation, but satisfaction in the job well done should be stressed. We want to use rewards to restore motivation not to make them the object of pursuit, so the children don’t become dependent on rewards. If we’re trying to extinguish rewards, we want to wait before we reward by gradually decreasing the frequency or by extending the length of intervals between the introductions of positive reinforcers to disconnect the task from the reward (Lynch, 2017). Here is a soup to nuts positive reinforcement checklist (PDF) with suggestions for reinforcement schedules that can be used for younger kids. It’s geared toward teachers but can be applied just as effectively at home. While sensory, natural or social reinforcers are of more lasting value, when it comes to younger children tangible reinforcements may be used to add variety, increase the immediacy and frequency. Tangible rewards should always be tied to values and behaviors we are trying to promote. Some of the helpful techniques for use with younger children is communicating through pictures and displaying reinforcers briefly to encourage pursuit as out of sight can often be out of mind. The short answer is yes it does, but there are caveats to using positive reinforcement effectively because they represent only a part of what constitutes positive discipline. According to Jane Nelsen Ed.D., who had been writing on positive parenting since 1980s, positive discipline tools eliminate the need for punishment and prevent the potential damage that can be caused by permissive parenting (Gfroerer, Nelsen, & Kern, 2014). Judgement skills and the ability to evaluate situations in accordance with their values (Gfroerer, Nelsen, & Kern, 2014). Nelsen’s Positive Discipline Handbook explains that there are several pieces to the puzzle of positive discipline and that understanding of reasons for misbehavior, acceptance of mistakes as an opportunity to learn, cultivation of mutual respect, and shared problem solving are a must. Although positive reinforcement studies date back to the operant conditioning research of B. F. Skinner, it wasn’t until the Adlerian theory, with its particular emphasis on fulfilling the individual’s need to belong, was applied to positive discipline programs in a variety of settings (Grunwald, & McAbee, 1999). Today schools, clinical practice, and parent education programs apply these methods to their design of tools, curricula and interventions that support the development of a child’s sense of belonging and the development of life skills (Holden, 2010). More recently developed programs like the Triple P – Positive Parenting Programs of professor Matt Sanders, include assertive discipline with clear ground rules and expectations reinforced by consistent discipline where positive reinforcements complemented by non-physical punishments like time-outs are encouraged and represent widely used methods in 25 counties (Sanders, 1999). A large number of research studies have been done applying the Triple P program, mostly in educational setting but also to parenting programs and clinical settings with a considerable success (Gfroerer, Nelsen, & Kern, 2014). Other positive discipline methods expend on the positive parenting approach by stressing the long terms goals of parenting, providing warmth and giving structure, supporting learning and problem solving rather than reacting with discipline. Prominent programs of this kind include that of Joan Durrant, a Canadian child psychologist and Save the Children Sweden (Durrant, et al 2014). Today Positive Discipline Every Day program offers training in 30 different countries and there are more than 70 different adaptations of the positive discipline that avoids all punishment, encourage positive rewards and promote cooperative relationships based on warmth. These approaches recommend being proactive in avoiding conflict, staying calm, attending selectively to misbehavior, apologizing when appropriate, and using humor to defuse difficult situations (Durrant, et al 2014). Finally, there are alternate perspectives on the level of influence parenting has on the development of children. Dr. Judith Rich Harris in her ground-breaking 1995 Psychological Review article Where is the child’s environment? 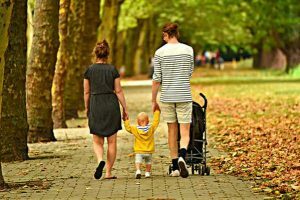 A group socialization theory of development argued that parental socialization has minimal effect on children because they are mostly influenced by their peers and socialized by their environment. The benefits of positive reinforcement are in step with what positive psychology teaches us about cultivating positive mindset and focusing on what is good in people. While our natural tendency is to correct, fix and problem solve it often does not make for a more effective approach and tends to alienate those we’re trying to help. Many would agree that it is far more enjoyable to be praised and appreciate our children for what they already do well rather than constantly criticizing them. While honesty and constructive feedback are important, so is the right balance between praise and other form of discipline. Positive reinforcement also allows parents to avoid the long-term negative consequences of punishment which are not always immediately visible. Over time punishment creates resentment and diminishing trust, rebellion and even revenge which encourages the children to be defiant and do the opposite of what we ask. Some may retreat into themselves and start to hide and lie, and in other instances internalize the act of punishment and think of themselves as a bad person. Finally, as Dr. John Gottman explains, many of the difficult moments when we discipline our children are also teaching moment that when approached with gentle kindness can be used to foster greater connection and help our children learn from their mistakes (2018). Think before we say no. Many of us come from families of poor communicators where we were thought that negative emotions were not OK. Gottman reminds us that while not all behaviors are appropriate all emotions are normal, and we want to acknowledge and validate them so that our children do not learn to define themselves through their missed steps (2018). Some argue that there is no difference between bribes and rewards, but bribes are given before the behavior we want to encourage while a reward is given after. It is hard to argue however that many Western cultures are quite materialistic and driven by consumerism. Christine Gross-Loh in her eye-opening book Parenting without Border: Surprising Lessons Parents Around the World Can Teach Us lists many examples where children living in nations that de-emphasized money and prioritized egalitarian values enjoy greater well-being (2013). In Korea, it is a cultural norm to live near or with extended family, while in Japan being a good parent is equivalent to teaching children to be frugal, resourceful, and restrained in their desires. Although in Sweden kids are given a lot of choice from the time they are young, their parents and teachers guide those choices and constantly explain to kids what a good choice is. Countries like Sweden are examples where families benefit from generous parental leave policies and less advertising aimed at kids. Similarly to overusing rewards, it is possible to take positive praise too far and Gross-Loh warns that our children can become slaves to praise. Many Asian cultures view American style of parenting as overly-focused on self-esteem while not fostering enough community and belonging. 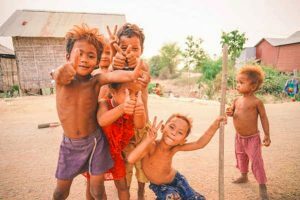 She argues that telling our kids how great they are or constantly complementing then on how wonderfully they are doing can make them blind to opportunities that would allow them to experience the challenges that are necessary to build resilience. A confident, competent and happy child would have usually grown up having many chances to build up the genuine reserves of self-confidence through mastering difficult tasks on her own not as a result of an overinflated sense of self, according to Gross-Loh (2013). Finally, excessive praise can be exhausting, and our children can tell when we’re not being genuine. We risk losing credibility if we praise them indiscriminately. Not to mention that we also run a risk of reinforcing a wrong behavior, even if unintentionally. 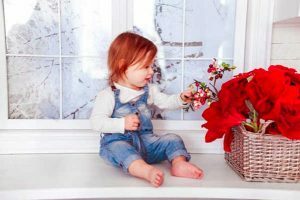 Taking a child’s development stage into consideration is particularly important when using positive reinforcement with younger kids as parents find themselves having to consider what children can’t do versus won’t do. According to National Association for the Education of Young Children, toddlers do not have the cognitive ability to understand reasoning and lengthy explanations, so parents need to have realistic expectation when it comes to using reinforcement with younger children and plan ahead for the inevitable meltdowns (2019). Remembering that toddler aggression is a normal part of their development and that it often stems from lack of language skills, a desire to be more independent, low frustration tolerance, exhaustion, hunger, a change in routine, or boredom is a good place to start (Florez, 2011). Positive attention works best when it is used often, rather than occasionally so that the child is reminded often of the kind of behavior you want them to repeat more often. 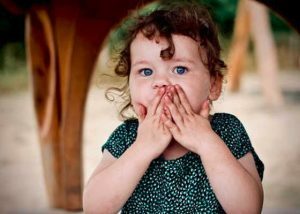 Praising good behavior is particularly important for when a child is learning a new behavioral skill or has found one to be difficult to learn. Here we can praise the effort as well as the instances of successful exhibit of desired behavior. Most importantly, positive attention can be given anywhere and almost anytime and over time allows us to get into a habit of looking for positives. Psychotherapist Katie Hurley of Practical Parenting beliefs that even toddlers can handle responsibilities when you can make a game and a privilege out of performing tasks around the house. Counting and sorting can be fun for toddlers as can preparing snacks. Follow up with praise and encouragement immediately and reinforce the wonderful behavior in positive way. Listen actively especially because your toddler’s ability to vocalize can be a source of mutual challenge. You can nod as your child talks to make feel respected and comforted. When you do this, it can help young children cope with tension and frustration, which sometimes lead to unwanted behavior and diffuse potential temper tantrums. Be firm when using of positive reinforcements with toddlers. It requires a lot of patience and can be tricky, particularly when they whine and the urge to give in is hard to resist, but when we fail to be firm and consistent we can accidentally reinforce the wrong behavior and train her to whine more (Cherry, 2018). The beautiful thing about raising toddlers is that redirecting attention is still an effective way to prevent upsets. PBS Kids website suggests that when the child is misbehaving turn their attention to something positive they can do or enlist their help with and distract from the trigger of unwanted behavior (2018). Remove the trigger, if what is causing the child to misbehave can be put away like a toy that causes a lot of fights, ask your child to choose a place where you can put it away for a time. Although one of the hardest skills to learn, sharing is also one of the most important social skills to teach. Many parents use a timer to help toddlers work on trading toys after two minutes. Shifting focus when toddlers act out for attention can also be a great opportunity to spend quality one-on-one time with your child. This is a perfect time to tune in, get close and regress into your inner child. A worth-while investment for a busy parent and an opportunity to take a step back and decompress yourself (Copple, & Bredekamp, 2008). Prepare for challenging situations as there are times when looking after your child and checking things of your to do list will be tricky. Plan in advance and around your child’s needs. Giving a five-minute warning before you need him to change activities can work wonders to prepare him for what’s coming next. Finally, when inevitable tantrums strike and nothing seems to work it may require that parents remove the child from the situation to give him a chance to decompress away from the trigger. Reframe the concept of time out and call it a relaxation break. And let’s not forget humor, a secret remedy for many a bad mood that can make even picking up ones toys a lot of fun when disguised as a session with a tickle monster. The following suggestions come from the National Association for the Education of Young Children (NAEYC). Based in Washington, DC, it awards accreditation to early childhood associate, baccalaureate, and master’s degree programs that demonstrate evidence of excellence by meeting the NAEYC Professional Preparation Standards and from the Raising Children Network (RCN) funded by the Australian Government Department of Social Services Families and Children Program. Working with over 200 top Australian and international experts made-up of some of Australia’s pre-eminent experts in child health and development, RCN provides the most up-to-date research by partnering with highly respected content partners, including the Centre for Adolescent Health, Victorian Department of Education and Training, NSW Kids and Families and Stepfamilies Australia approved by our Scientific Advisory Board. Below are some things to keep in mind while employing positive reinforcement as many of these strategies enhance and support the use of positive discipline. Everything from the environment, structure, personalities and awareness of our own and our children’s triggers can get in the way of noticing and responding to opportunities for positive parenting. 1. Create an environment that fosters good behavior. The environment around a child can influence his behavior so it should be shaped in a predictable way that helps him behave well. Making the child’s space organized, safe, easy to maneuver, and filled with stimulating things to play and engage with. If possible, provide natural light and space dedicated to school work for older children. 2. Provide structure and clear limits. It is important to have house rules that are well-understood, reasonable and adjusted by age. The limits should be continually stressed, both verbally and through visual reminders in a prominent place with pictures for younger children. Most children respond well to a structure so try to stay on schedule as much as possible so that kids, especially younger ones, know what comes next. With older children, involve them in setting family rules to empower them to be active participators in running of the household. 3. Teach them about natural consequences. From the youngest age children can see that their choices have negative results and can get upset by the natural consequences of their actions. But remember that younger children can understand consequences only if they experience them. For example, if it’s your child’s responsibility to pack for a sleepover and she forgets her favorite pillow, she’ll have to manage without it for the night. Sometimes that will be enough so no further intervention is necessary, at other times you may have to help them choose a positive replacement behavior instead or help them problem-solve and find ways to fix the situation to relieve that feeling of helplessness. At other time you and your child may have to agree on the consequence to the broken rule in advance. And most importantly, follow up calmly, firmly and consistently when rules are broken. It’s important to send a positive message and be a good role model as our children from a young age watch us for clues on how to behave and signs of not practicing what we preach. As the saying goes, they will do as you do not as you say. For example, if you’re trying to cultivate a positive self-image in your child avoid making negative statements about yourself or others in front of your kids. 5. Pick your battles carefully and learn to live with mistakes. Ask yourself how much opportunity for conflict and bad feelings getting involved in everything your child is doing can potentially create and ask yourself if it really matters. Rules are important, but if you spend all your time instructing, correcting and saying no, perhaps it’s time to re-evaluate. Saying sorry to your child when you make a mistake teaches them to take responsibility and helps to keep your relationship going well. 6. Parent according to personality. All children are different. Remember that you might have to tailor your intervention style to each child. While positive reinforcement tends to work across the board, play time might work better for one while relaxation breaks could be better for another. 7. Be open to discussion. Help your child explore alternate explanations for what happened and encourage them to problem solve if age appropriate. 8. Model emotional intelligence and show your child how you feel. An honest conversation with your child about how his behavior affects you helps him see things from your perspective and understand his own feelings and yours. Use ‘I’ statements when talking about your feeling, describe the behavior not the person and make a request for what you want them to do instead. Involve older children in problem solving and coming up with alternatives. 9. Follow through and keep promises, good or bad, to foster trust and cultivate mutual respect. She learns that she can rely on you and you won’t let her down when you’ve promised something. She also learns not to try to change your mind when you’ve explained natural consequences of her behavior. Explain the consequences, and if appropriate ask your child to agree to them in advance. Finally, when you allow let her experience the consequences for herself, she learns to disassociate you as the source of discipline. 10. Delegate responsibility to make your child feel important. For younger children give them some simple chores or things that she can do to help the family. Allow her lots of practice doing a chore so she can get better at it and praise for her behavior and effort to build her self-esteem. 11. Reframe toward the positive. Whenever possible tell them what you want them to do versus what you don’t want. Positive rules are usually better received than negative ones, because they guide your child’s behavior in a positive way instead of making them feel like you’re anticipating they will do the opposite. For example, ‘Please shut the door’ is better than ‘Don’t leave the door open’. Same applies to setting rules. Good behavior in teenagers starts with positive communication and a warm relationship. Some of practical tips below cover communication, rules, role-modelling, problem-solving, praise, trust and more. Plan ahead for difficult conversations. Teenagers crave privacy and to have a space and things of their own. Show respect by asking for your child’s permission to enter his room, and not going through his phone or belongings. Ask yourself how much do you really need to know, and what can be left as private between your child and his friends. 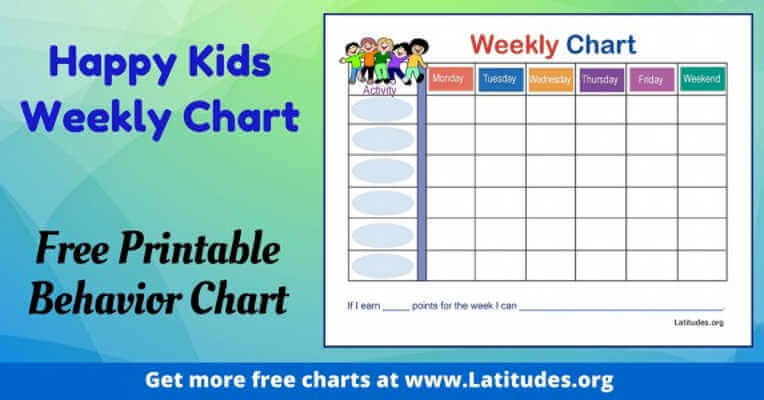 Behavior charts are a great way to implement positive reinforcement in a tangible and consistent way. Children of all ages like to earn stuff and just like adults they take pride in reaching their goals. 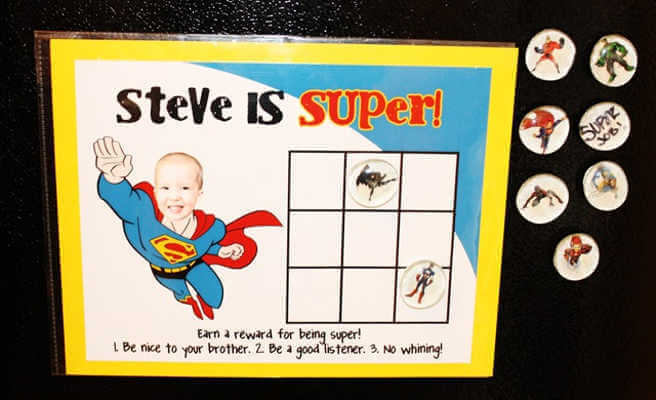 Reward charts can also help as visual reminders for parents and children to focus on the positives in the child’s behavior and clarify expectations. They can also motivate by allowing everyone to track the child’s progress towards goals. Rewarding your child for practicing new skills, like staying next to the trolley when shopping or putting all the toys in a box when asked. When you’ve decided on your chart, decide which stickers or tokens to use. Star stickers work well for younger children, whereas older children might like points or other markers. Put the chart where your child can see it. Keep in mind that your older child might prefer a spot that’s private – for example, in her bedroom rather than on the fridge. 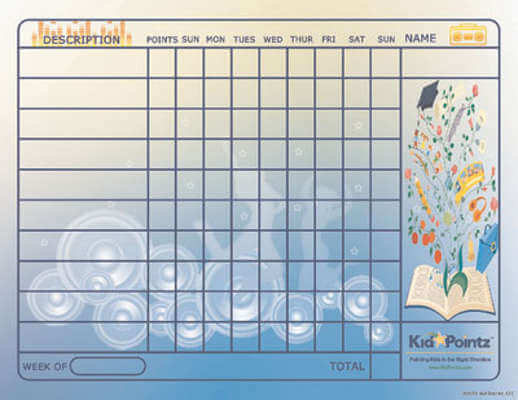 Kid Pointz website has a large number of free printable and customizable charts as the one below. Another website Association for Comprehensive NeuroTherapy (ACN) has wonderful rewards charts for 3 to 8 year old and includes wall posters and apps. Think of this as a reward, NOT as a bribe. Older children might like to create their own chart based on what you’ve agreed to. They can include a drawing or photo of the reward they’re trying to earn. Another good option is a reward chart apps on your or your child’s phone. They are easy to use, convenient and portable and let you give your child points as soon as he earns it, even on the go. Limited linguistic abilities of toddlers can provide an interesting opportunity for parents to be creative in their ability to communicate. If most of our communication is non-verbal there is no better way to test this out then with toddlers. Behavior charts for toddlers work best when they are a visual extension of the positive reinforcement your child already receives from you on a daily basis like praise or high fives. There is no right or wrong age to introduce a behavior chart. If your toddler doesn’t seem to grasp the concept or respond to the incentives, you can put it away and then try again in a few months. Start small and stick to three to five things, arranged in the order she usually completes them throughout the day. For better results allow your child to be the one who places the sticker or magnet on the chart. When we get discouraged it helps to remember how malleable and easily influenced children are in early childhood so whatever effort we put into discipline and teaching is bound to pay off dividends in the long run. Many websites have encouraging and happy free printable behavior charts as well as tips on how to use them effectively. 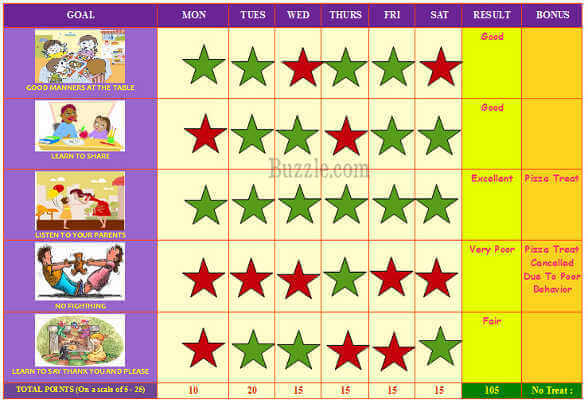 You can customize them or simplify them to a single behavior chart like one for potty training. Your turn is coming. I am so proud of how patient you are. I have seen you say that in a respectful way. Good sharing, Tyler. Keep trying. Wow, you put both arms in your coat all by yourself! Thank you for telling me your diaper needs changing. Thanks for coming straight home from the movie. You were so quiet with your puzzle while I was finishing that paperwork, just like I asked. What bright, happy colors you picked for the dog’s spots. I see you drew a picture of the story that we read this morning. I get worried when you stay out late without telling me what you’re doing. Next time, I’ll pick you up at 10 pm. What could you do differently next time so you don’t get a consequence? With teenagers a much more comprehensive approach can be used. Here are a few examples of how we can use the Appreciative Inquiry process to encourage our “soon to be adults” to self-reflect. The core principles of AIA process are: Appreciating the present, Imagining the ideal, and Acting now in alignment. Do you feel appreciative or good about this situation or person? If not, are you focusing on what you don’t want in this situation? How can you shift to see more of the good or more of what you want? Is this where you’re giving your attention? Your feelings again provide helpful information. If you’re not feeling good, are you focusing on what I want? Do your current actions and thinking align with what you want? Is what you’re saying, thinking, and doing consistent with what you desire? If not, what small action can you take that would help you move just a bit closer to your ideal? Children tend to internalize the messages we send according to Suzette Haden Elgin, Ph.D., founder of the Ozark Center for Language Studies, in Huntsville, Arkansas. Below is a list of phrases we should try to avoid. If we get into a pattern of not paying attention to our children when they are small, then they may be less likely to share as they get older. Not to mention that they also learn bad habit when they do not see their parents take time for themselves. We send powerful messages to our children by labeling them. 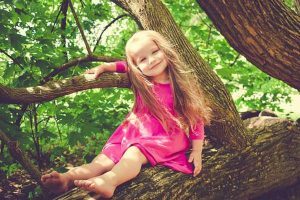 Young children believe what they hear often without question, even when it’s about themselves and negative labels can become a self-fulfilling prophecy as your child begins to think of herself that way, undermining her confidence. Even labels that seem neutral or positive like smart or shy either limit or place unnecessary expectations on her. A far better approach is to address the specific behavior and leave the adjectives about your child’s personality out of it. 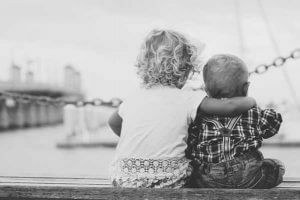 All feelings are valid but “It’s natural to want to protect a child from such feelings,” says Debbie Glasser, Ph.D., director of Family Support Services at the Mailman Segal Institute for Early Childhood Studies at Nova Southeastern University, in Fort Lauderdale. Rather than deny that your child feels a particular way acknowledge the emotion and validate it as there is no right or wrong way to feel in any given moment. By naming the feelings you’re also giving your child the words to express himself and model empathy. Comparing your child to someone else implies that you wish yours were different and can also create resentment between you and the child and the siblings or the person you’re comparing her to. It’s natural for parents to compare their kids, to look for a frame of reference about their milestones or their behavior, say experts but making comparisons does not help to change behavior, it only undermine her self-confidence. Learning is a process of trial and error and phrases like this can undermine a child’s willingness to learn and try new things and are neither productive nor supportive. Give your child the benefit of the doubt, and help them brainstorm on how to prevent recurrence. Threats have been proven to be an ineffective way to change behavior. The younger a child is, the longer it takes for a lesson to sink in. says Murray Straus, Ph.D., a sociologist at the University of New Hampshire’s Family Research Lab. Although there is no such thing as perfect strategy, especially with older kids, it’s more effective to develop a repertoire of constructive tactics, such as redirection, removing the child from the situation, or applying of natural consequences. Discipline that’s postponed doesn’t connect the consequences with your child’s actions and is just another form of threat. To be effective, you need to take care of a situation immediately yourself. Passing the buck to someone else also undermines your authority and is putting your partner in an undeserved bad-cop role. Consider your tone of voice when you implore a child to hurry and pay attention to how often you say it. There’s a tendency to make our kids feel guilty for making us rush and although it makes them feel bad, it doesn’t motivate them to move faster. Paul Coleman, author of How to Say It to Your Kids looks for calm ways to speed things along just so he can say that no matter what he will not yell. Praise is a positive reinforcement at its best and one of the most effective tools a parent has. But when the praise is vague and indiscriminate kids tune it out. They can also tell the difference between praise for doing something rote or simple and praise for a real effort. So praise only those accomplishments that require real effort, be specific, and praise the behavior rather than the child. Family relationships are a source of some of the most meaningful and most intense experiences in our lives that provide the joy of belonging through unconditional acceptance, trust and love for one another. And although at times parenting feels like we’ve lost our minds and our children have ran away with it, focusing our energy and attention on what is good in our children can bring out the best in them and in ourselves. What we pay attention to nurtures or decays the world we create for ourselves and our children. 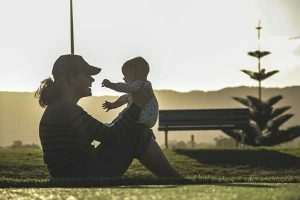 While children must know that as parents, we expect certain things from them and their behavior has consequences, we can help them recognize that no matter what happens, our love and concern for them is never in question and they can develop their potential within the safe emotional base. There is a concept in psychology known as Michelangelo Phenomenon that explains how those closest to us can help shape our ideal self by affirming our potential, encouraging us to express the personality traits we deem valuable and creating an environment where we feel safe to be ourselves (Drigotas, et al, 1999). Copple, C. & Bredekamp, S. (editors). (2009). Developmentally appropriate practice in early childhood programs. 3rd ed. Washington, D.C.
Drigotas, S., Rusbult, C., Wieselquist, J. & Whitton, S. (1999). Close Partner as Sculptor of the Ideal Self: Behavioral Affirmation and the Michelangelo Phenomenon. Journal of Personality and Social Psychology, 77(2), 293–323. Dweck, C. (2007). Mindset: The New Psychology of Success. New York, NY: Penguin Books. Fredrickson, B.L., & Losada, M.F. (2005). 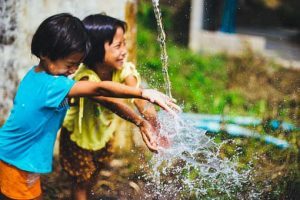 Positive Affect and the Complex Dynamics of Human Flourishing. American Psychologist, 60(7), 678-686. Gfroerer, K., Nelsen, J., & Kern, R. M. (2014). Positive Discipline: Helping Children Develop Belonging and Coping Resources Using Individual Psychology. Journal of Individual Psychology, 69(4), 294-304. Gottman, J.M. (2013). Meta-Emotions: How Families Communicate Emotionally. New York, NY: Routledge. Gottman, J.M., Declaire, J., & Goleman, D. (1998). Raising An Emotionally Intelligent Child The Heart of Parenting. New York, NY: Fireside. Gross-Loh, C. (2014). Parenting without Border: Surprising Lessons Parents Around the World Can Teach Us. New York, NY: Penguin Books. Grunwald, B.B., & McAbee, H.V. (1999). The psychology of Alfred Adler and the development of the child. New York: Routledge. Hoefle, V., & Kajitani, A. (2012). Duct Tape Parenting. New York, NY: Bibliomotion. Hurley, K. (2015). The Happy Kid Handbook: How to Raise Joyful Children in a Stressful World. New York, NY: Penguin Books. Narváez, D. (2016). Contexts for Young Child Flourishing: Evolution, Family, and Society. Oxford University Press. Nelsen, J., Nelsen Tamborski, M., & Ainge, B. (2016). Positive Discipline Parenting Tools: The 49 Most Effective Methods to Stop Power Struggles, Build Communication, and Raise Empowered, Capable Kids. Random House. Siegel, D.J., & Payne Bryson, T. (2016). No-Drama Discipline: The Whole-Brain Way to Calm the Chaos and Nurture Your Child's Developing. Bantam.